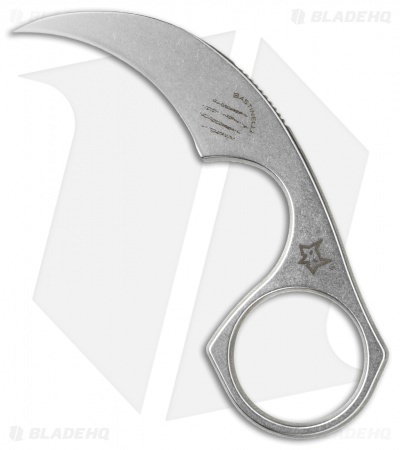 The Diagnostic is a karambit neck knife from Bastinelli Creations. It utilizes the proven karambit knife style in a smaller profile EDC neck knife. The handle and blade feature one piece N690C stainless steel construction, and a durable stonewashed finish. A finger groove and an integrated thumb hole provide excellent blade control with this smaller size knife. 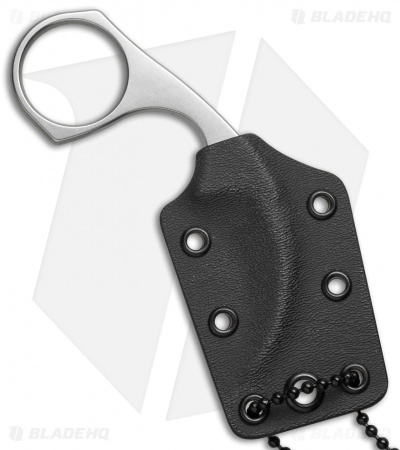 Item includes a kydex sheath and a ball chain for comfortable everyday carry. The Diagnostic offers an Italian-made design that will make a unique addition to any knife collection. Had it for about 6 months now, and out of every blade I've bought and carried this is still my favorite. Its size is perfect to carry in pocket and the simplicity of the single flat ground face makes sharpening a breeze. The swedge above the blade make its aesthetics look even more pleasing. The only wear visible is near the point of the blade, where it exits and enters the kydex sheath. The sheath to is great, with a solid hold on the blade. If you want a small edc meant for protection, there is nothing better suited than the Bastinelli Diagnostic.